The final workshop on “Disaster Inventory Management System: DesInventar” and the presentation of the historical data collection on disaster loss in Albania was organised within the DPPI SEE Disaster Management Training Programme for the year 2014 and represents Albanian contribution to the Programme. 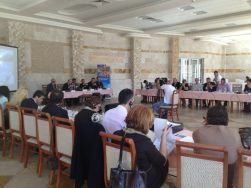 The Workshop was hosted by the General Directorate of Civil Emergencies - Ministry of Internal Affairs of Albania and was jointly organized by the DPPI SEE, UNISDR and CIMA Research Foundation. The main objectives of the workshop was to introduce the DesInventar as a web platform tool for building disaster database with its methodology for disasters loss accounting and to present the Albanian historical inventory on disaster losses. Some of the topics covered within the workshop programme were: Disaster Theory (Hyogo Framework for Action, Risk Assessment, National Disaster Database and Inventory), the Global Assessment Report GAR 2013, Introduction to DesInventar (Data cards, data collection methodology, concepts and definitions, event definition, type of disaster, effects), Data Entry process, How to get DesInventar for your country, etc. Following the Command, Control and Coordination Course (November 2013, Serbia) being the 1st activity in the set of those planned within the DPPI SE JERU project, on 20 January 2014 the 3rd JERU planning meeting was held in Sarajevo whereby representatives of 9 project participating countries (Albania, Bosnia and Herzegovina, Bulgaria, Montenegro, Moldova, Romania, Serbia, Slovenia and Turkey) discussed on further implementation of the project activities in 2014 onwards. The main topics discussed at the meeting included arrangements for the procurement and dissemination of the JERU personal protection equipment and planning/ organization of the JERU SWIFT practical trainings. In this respect, the participating countries also performed further analysis of the proposed JERU personal protection equipment and reached agreement on the technical details of the equipment. Eight DPPI SEE member countries sign the new Memorandum of Understanding on the Institutional Framework of the Disaster Preparedness and Prevention Initiative for South Eastern Europe (DPPI SEE) On 28th November 2013, Day I Iof the XXVII DPPI SEE regional meeting, 8 countries of the region (Albania, Bulgaria, Croatia, Macedonia, Montenegro, Serbia, Slovenia and Turkey) signed the Memorandum of Understanding for the 2nd time thereby extending the mandate of the Initiative for an indefinite period of time. The signing by other three DPPI SEE member countries (Bosnia and Herzegovina, Moldova and Romania) is expected to take place in the course of the next 6 months and not later than on the occasion of the DPPI SEE regional meeting 2014 (spring session). The signing of the new Memorandum reflects the countries’ undiminished commitment to continuing regional cooperation in the field of natural and man-made disaster preparedness and prevention through further implementation of programmes aimed at institutional capacity-building in this respect, both on national and regional level. 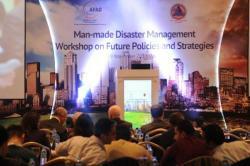 The workshop which represents Turkish contribution to the DPPI SEE DMTP for the year 2013 was hosted by Disaster and Emergency Management Presidency of Turkey (AFAD). Fourteen (14) participants from DPPI SEE member countries (Albania, Bosnia and Herzegovina, Bulgaria, Macedonia, Romania and Serbia) and 65 participants from AFAD, Ministry of Labor and Social Security, Ministry of Environmental and Urban Planning, universities and non-governmental organizations from Turkey took part in the workshop. This seminar was Serbian contribution to the Disaster Management Training Programme for 2013 within the activities of Disaster Preparedness and Prevention Initiative for South Eastern Europe (DPPI SEE) and was organized by the Sector for Emergency Management of the Ministry of Interior of the Republic of Serbia. Seminar was attended by representatives from 9 countries of the region – Albania, Bosnia and Herzegovina, Bulgaria, Croatia, Macedonia, Montenegro, Slovenia, Romania and Turkey, as well as representatives of the Red Cross Serbia. The main goal of the seminar was presenting the place and role of Civil Protection (CP) Units in the Protection and Rescue System of Republic of Serbia and countries in the region. This was accomplished through sharing experience and lessons learned on drafting and implementing the legal regulations in this filed and through discussions on methods of their forming on the national and local level and their training. During seminar each participating country shared its experience in creating CP units and their use in protection and rescue system of their country. 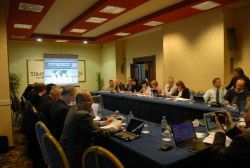 The workshop, held from 2-3 October in Budva, Montenegro, was hosted by the Directorate of Emergency Situations of the Government of Montenegro within the framework of the DPPI SEE and was organized in cooperation with DPPI SEE Secretariat, UNICEF Regional Office for Central and Eastern Europe and Commonwealth of Independent States (CEE/CIS) and UNISDR Office for Europe. The workshop presents Montenegrin contribution to the DPPI SEE Disaster Management Training Programme 2013. The conference was organized by the University of Applied Sciences Velika Gorica and supported by National Protection and Rescue Directorate (NPRD) of the Republic of Croatia. 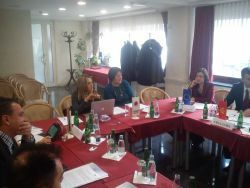 The event presents one of the Croatian contributions to the DPPI SEE Disaster Management Training Programme for 2013. The focus of the 6th International Scientific and Professional Conference was on "Contemporary Policies of Crisis Management" (Day I), while the discussions of the Roundtable on Day II addressed the subject of “Modern Trends in Civil Protection” and involved active participation of all DPPI SEE representatives.